Use this guide for help in your business courses and assignments. The following tutorials will show you how to use library databases to find specific types of business information. Find Company information using the databases Business Source Complete, Lexis Nexis Academic, or Mergent Online. To find company information in Business Source Complete, Click on the "Company Information" option at the top of the page. Enter the company name or ticker symbol and click "Search." Click on the company name to view the full information record. Nexis Uni (formerly LexisNexis Academic) Description of this database. To find company information in Nexis Uni (formerly LexisNexis Academic), use the "Guided Search" box. Click on "Company Info" in the bottom right corner of the box. Enter the company name in the search box and select "Company Profile" from the dropdown menu. Click "Search" and select the relevant company profile in the search results. To find company information in Mergent Online, type the company name or ticker symbol into the search box and click "Go." To search for a private company, you must first check the "D&B Private Company Database" box above the search box. Click on the company name to view the full company information record. Use Business Source Complete to find SWOT analyses of major companies. 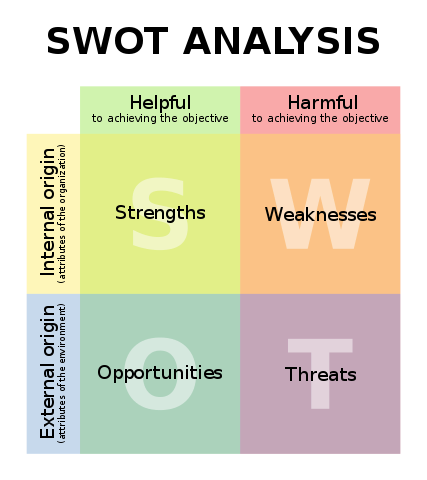 A SWOT analysis is used to evaluate a company's and programs' strengths, weaknesses, opportunities, and threats. With a SWOT you can evaluate the current state of the company and the possibilities for the future. In Business Source Complete, search for a company by name or ticker symbol. In the "Refine Results" panel on the left side of the page, click on "Source Types" and select "SWOT Analysis." If you do not see "SWOT Analysis" immediately, click on "Show More," select "SWOT Analysis" and click "Update." To find the most recent SWOT Analysis, change the sorting option from "Relevance" to "Date Newest." To view the full SWOT Analysis, click on the "PDF Full Text" link. DemographicsNOW Description of this database. You can use DemographicsNow to gather demographic data by geographic location and generate reports or comparisons, which can include census, consumer, and business information. To narrow your search to a specific geographic region, enter the zip-code, city, county, or state name in the "Geo Filter" field at the top right corner of the page. To view demographic, consumer, or business information, click on the "Demographics" tab. Choose a "Report Type" and a "Report Name" and click "Run Report."